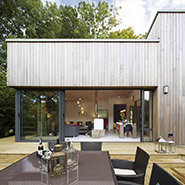 Many different species of wood are suitable for exterior timber cladding because of their natural resistance to decay. 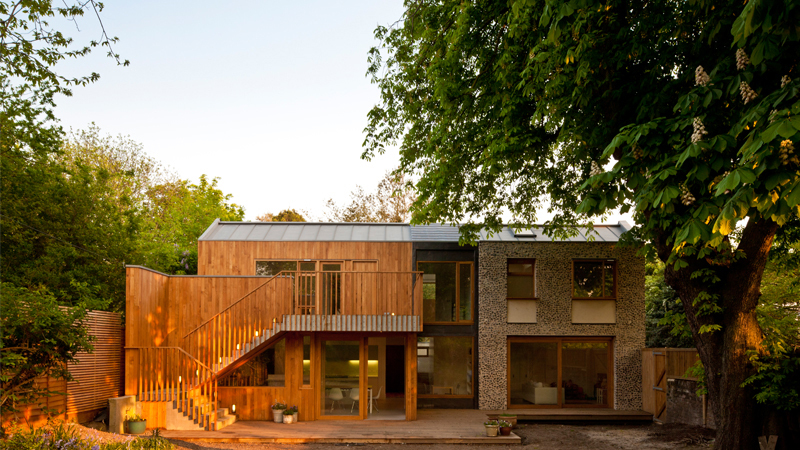 Traditional British timbers such as oak, elm, sweet chestnut, western red cedar and larch have been used as timber cladding for hundreds of years to protect houses from the elements. Imported timbers such as Canadian western red cedar and Siberian larch are increasingly being specified for cladding where a more modern, contemporary appearance is desired. The various timber species we offer for cladding are available in a range of profiles from the more rustic waney-edge and feather-edge to the clean lines of machined shiplap and halflap. Within this section you will find a wealth of information about selecting timber cladding species, board dimensions and profiles. You will also find pricing information to help you cost your cladding project as well as advice and diagrams to help you fix the boards correctly. If you would like any further information about our range of timber cladding, or you require samples, please call or email and we will do our best to help.